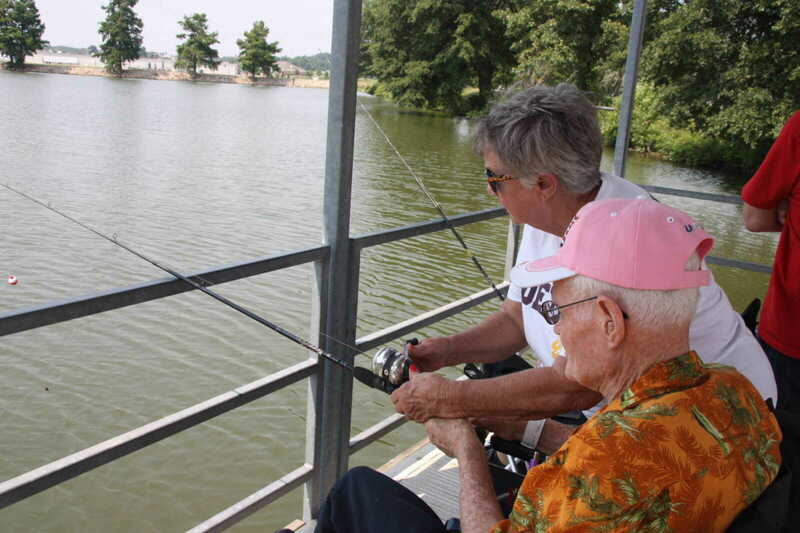 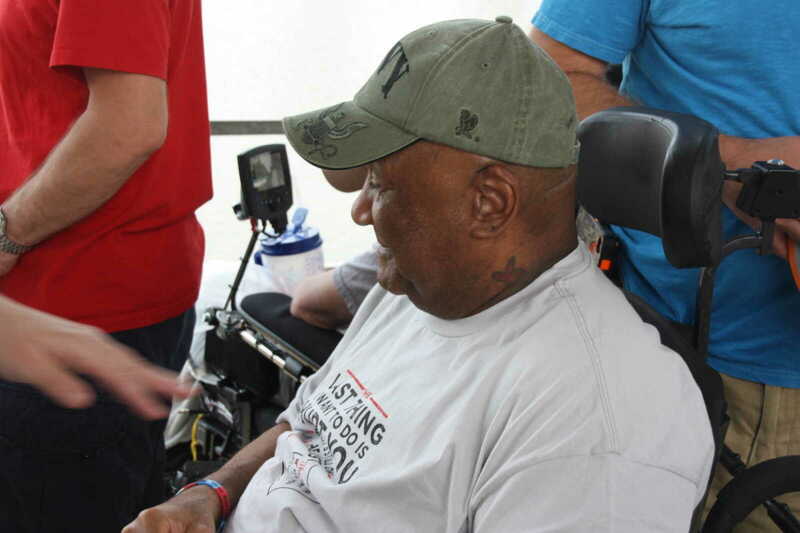 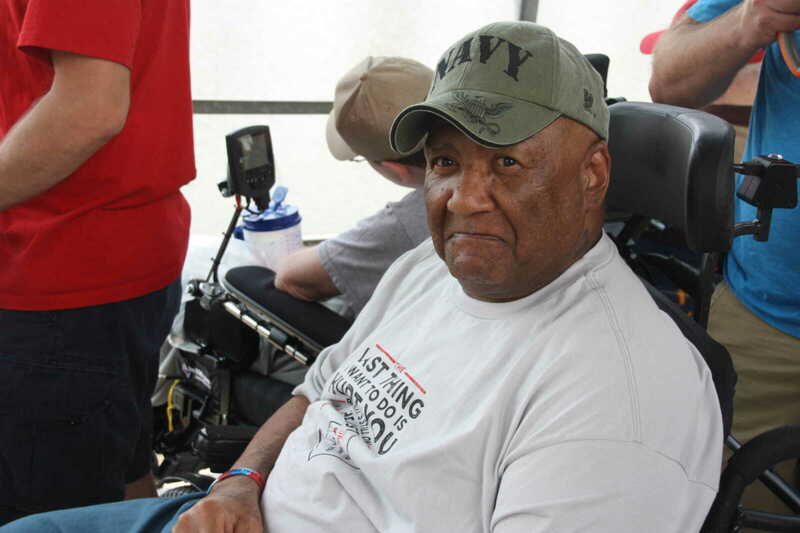 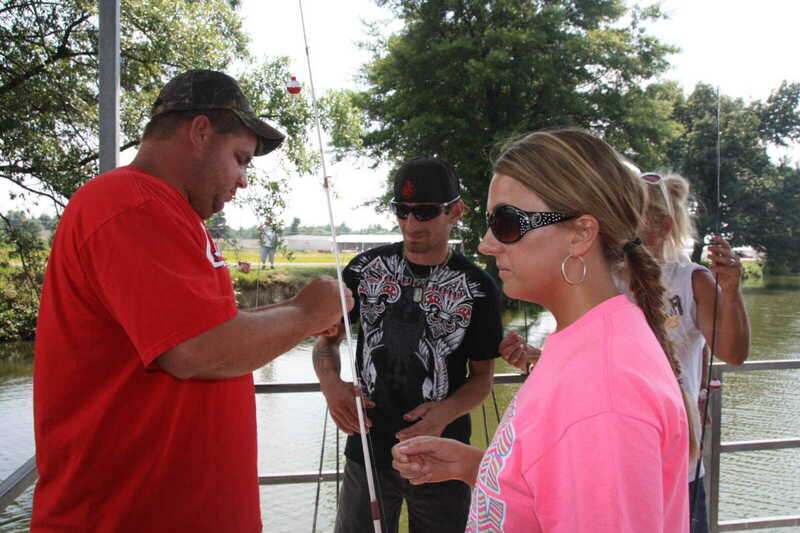 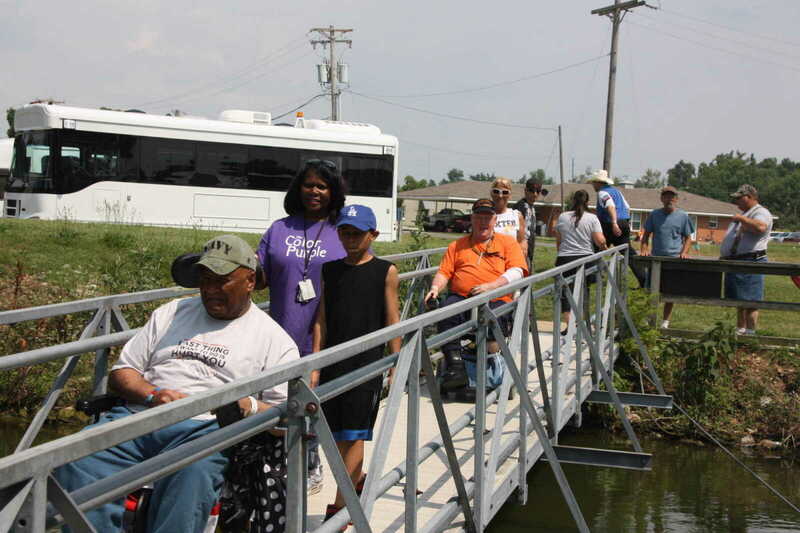 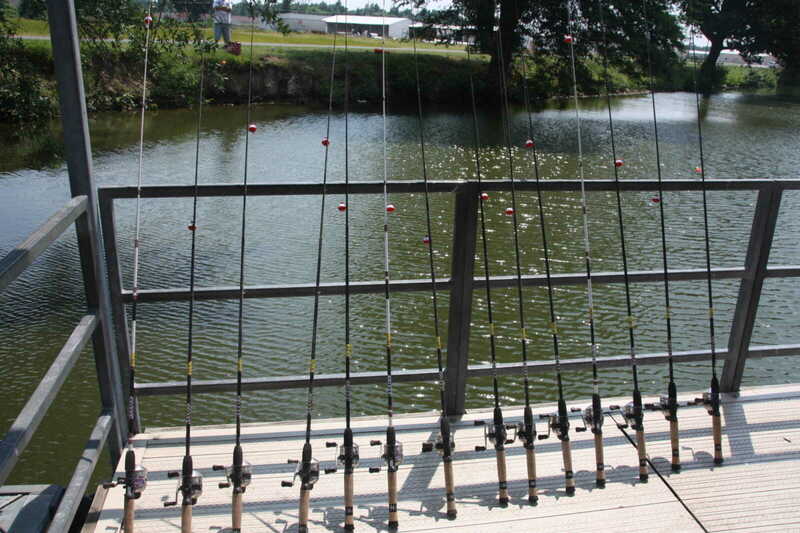 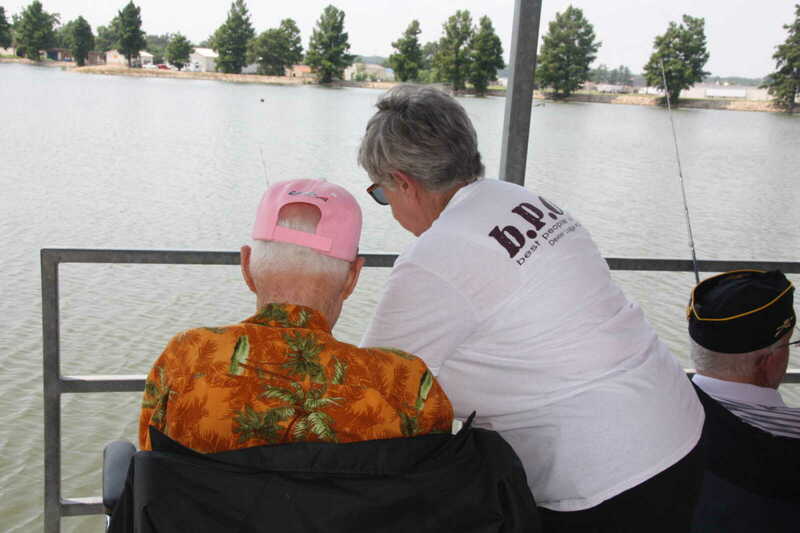 Dexter Elks Lodge sponsored a Fishing Day for disabled veterans from the John J. Pershing Veterans Administration Center in Poplar Bluff on Sunday, June 23, 2013 at Dexter City Lake. 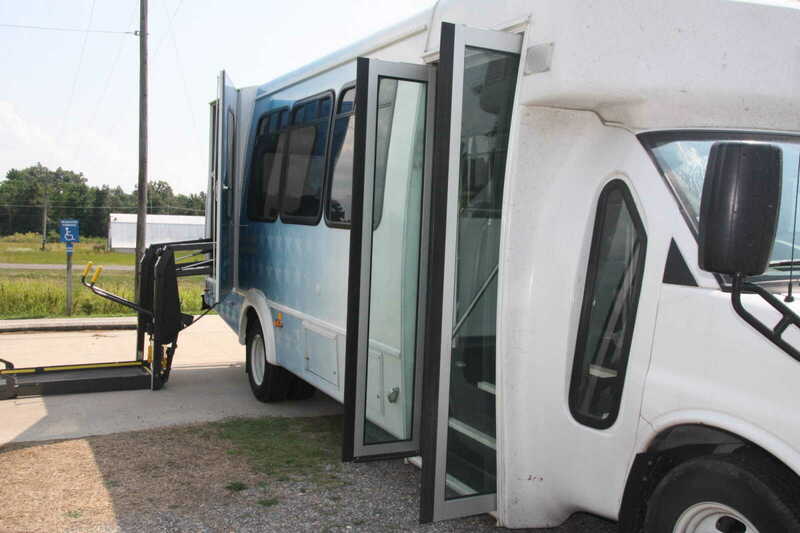 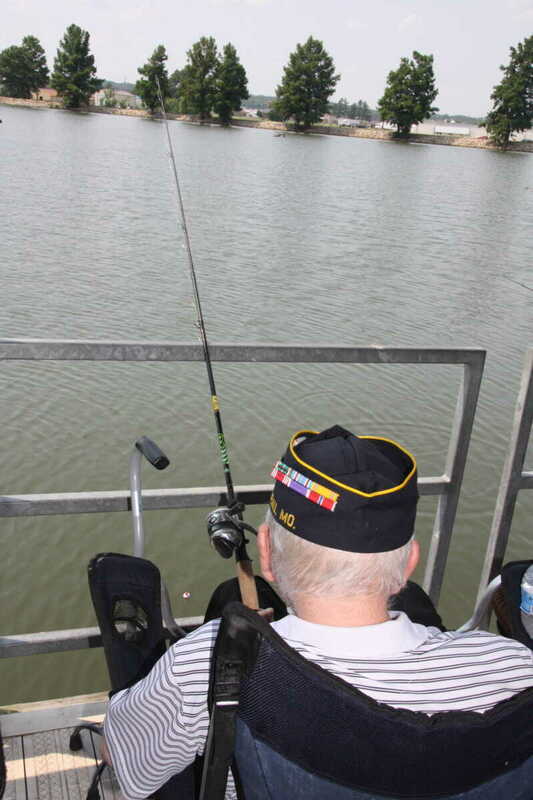 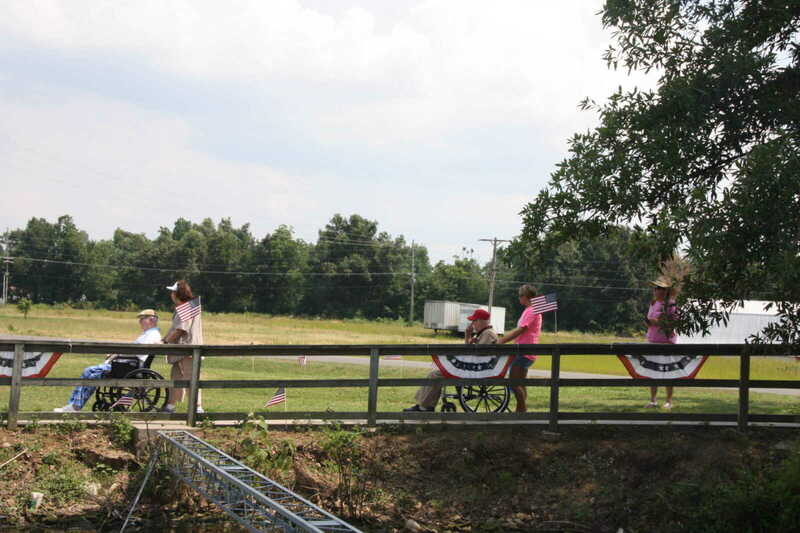 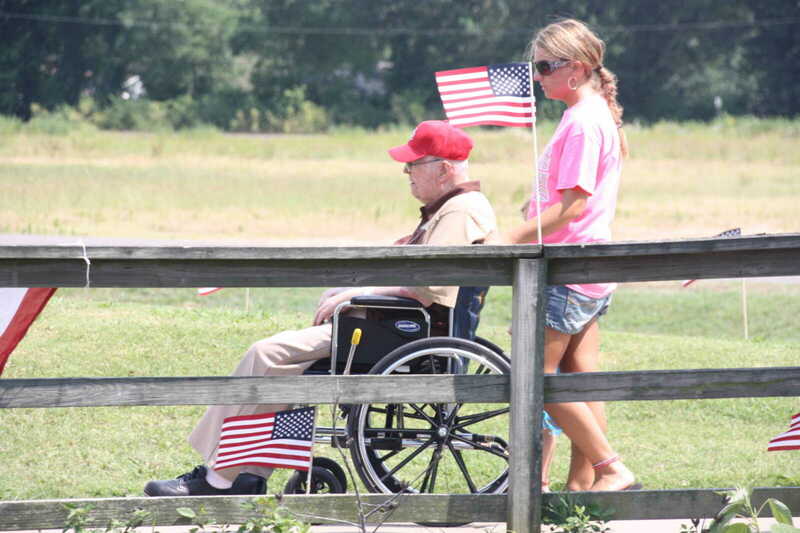 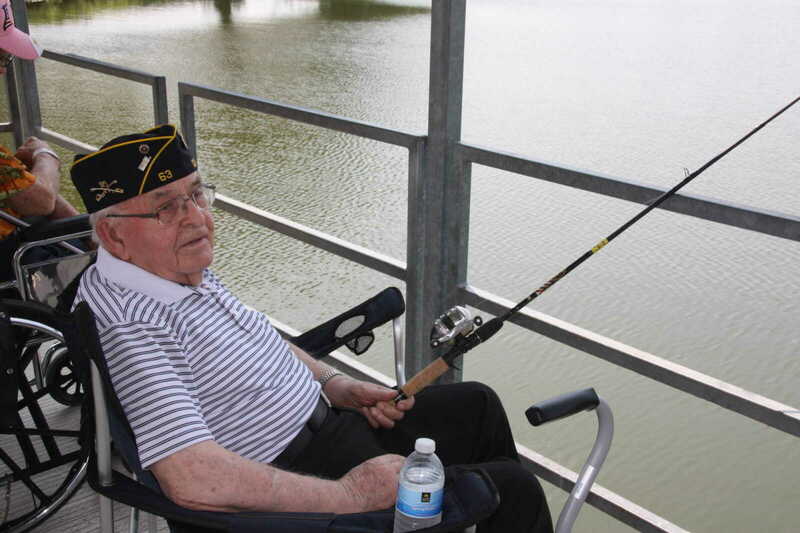 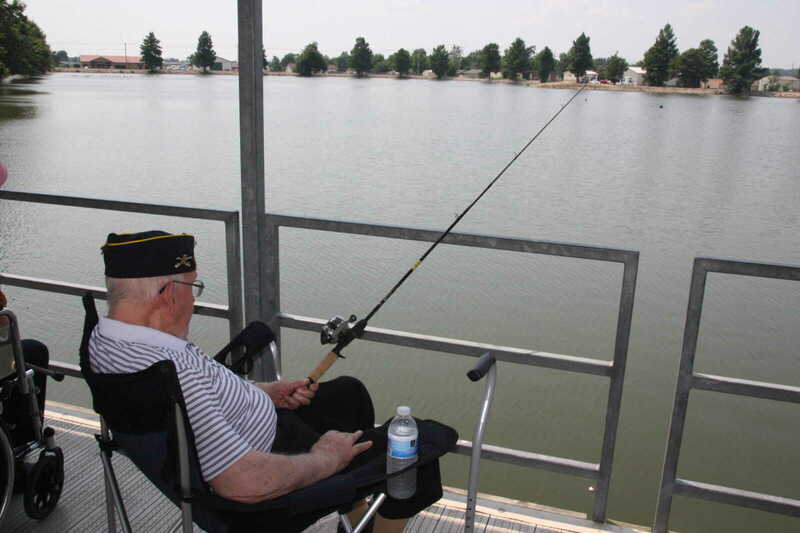 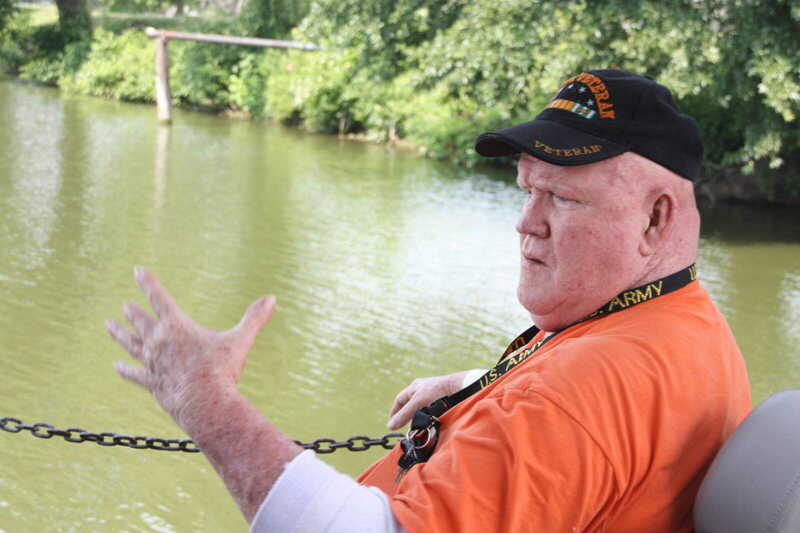 About a dozen veterans were transported to the lake and provided with bait and gear to fish from the dock at the lake. 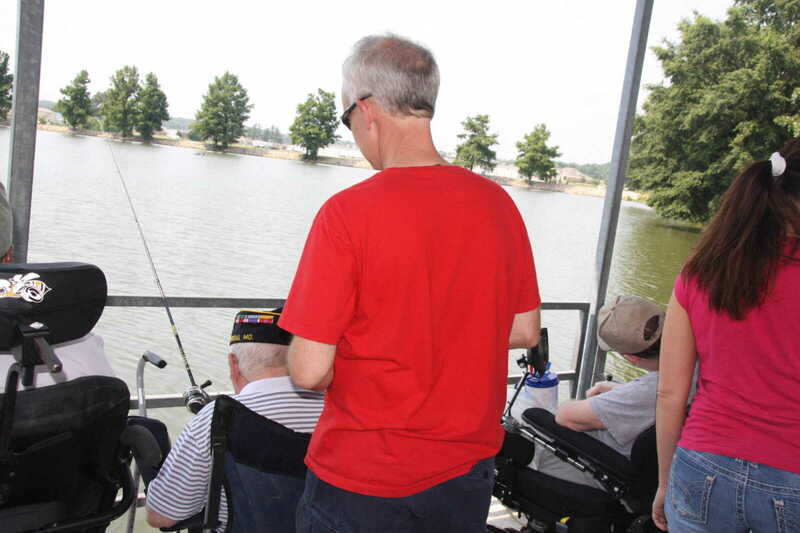 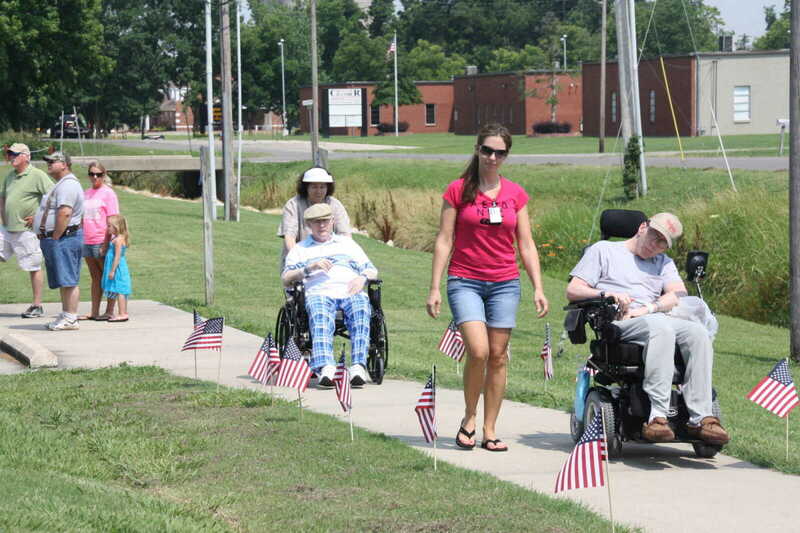 After their time at the lake, the vets were treated to a meal at the Elks Lodge on Two Mile. 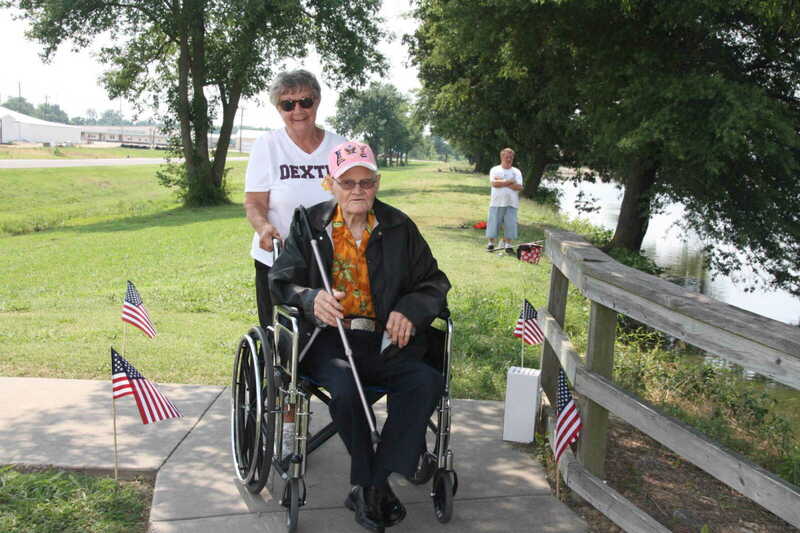 Coordinating the event was the Elks Veterans Committee Chairperson, Shirley Alexander, who was on hand to assist the fishermen.